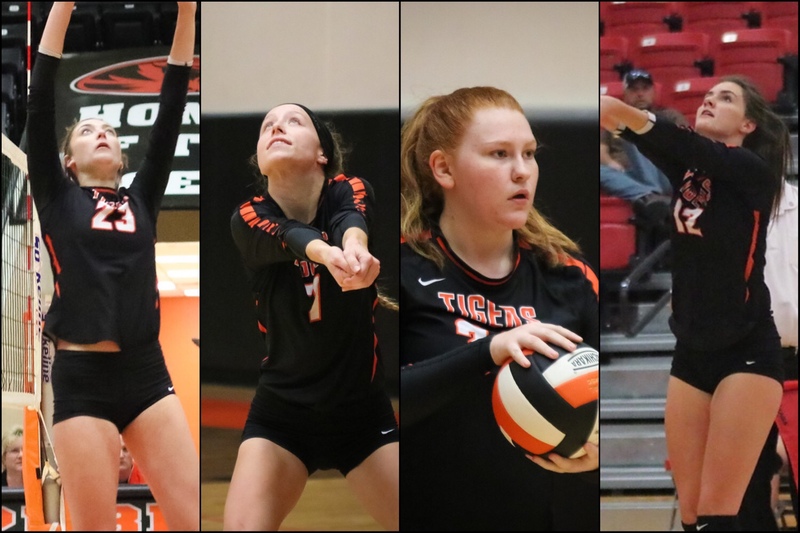 Four members of the Republic volleyball team earned academic all-state recognition for their work in the classroom and on the court. Abby McKee, Rylee Moseman, Emma Pearce, and Carle Ward were all named to the all-state academic team. To be recognized as Academic All-State, players must play in at least 75% of varsity games and have a 3.6 grade-point average or higher. All four players are due to return next season as seniors under new head coach Allison Davis.